The Guineas has been a happy hunting ground after running in the CS Hayes Stakes at Flemington on Saturday. Grunt was one of a recent good run of those to do the double. Will the 2019 CS Hayes Stakes (1400m) at Flemington on Saturday provide it again? 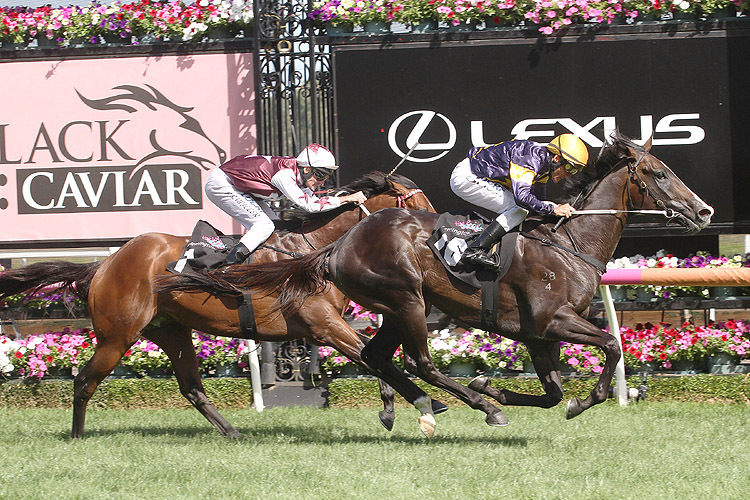 The CS Hayes Stakes is a Group 3 race run under Set Weights and Penalties conditions for three-year-old colts and geldings run at Flemington conducted by the Victoria Racing Club. The first CS Hayes Stakes was run in 1986 when it was knowns as ‘The Debonair’ and carried that name until 2007 with the exception of 1994 when it run as the Vanuatu Stakes. The first winner Raveneaux had won the Victoria Derby in 1985. In 2008 the VRC renamed the race the CS Hayes Stakes in honour of the late champion trainer Colin Hayes, who passed away in 1999. It has been a Group 3 race since 2001. Colin Hayes trained Zabeel to win The Debonair in 1990 and his son David has won the race twice with McBrave (1993) and Rullene (1995). The CS Hayes Stakes has been run at Flemington every year with the exception of 1997 when it was run at Sandown Park and 2007 when it was transferred to Moonee Valley. The distance has been run twice over 1200m in 1990 and 2007. While programmed as a 1400m event the race distance has varied many times from 1409m (1999-2000); 1410m (2004. 2012); 1414m (1998); 1420m (1994, 2003); 1432m (1995); to 1433m (1996). The CS Hayes is worth $160,000 in 2019 and is the major lead-up to the G1 Australian Guineas (1600m) at Flemington. There have been seven three-year-olds win the CS Hayes Stakes/Australian Guineas double – Zabeel (1990), Mahogany (1994), Mouawad (1997), Dash For Cash (2002), Wandjina (2015), Hey Doc (2017) and Grunt (2018). Other notable winners of the CS Hayes Stakes include Encounter, Mossman, Starcraft, Lieutenant and Wordsmith. The 2018 CS Hayes Stakes was won by Grunt from Cliff’s Edge and Muraaqeb.